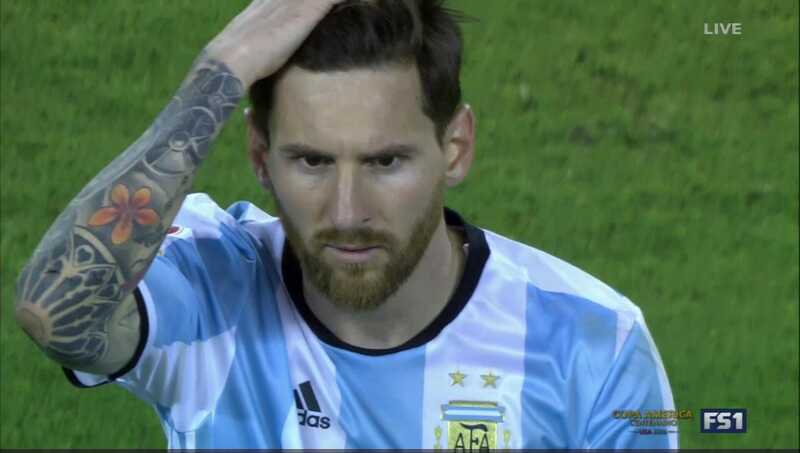 Lionel Messi’s drought with the Argentina national team continues as Chile wins Copa America for the second straight year on penalty kicks. In a match that was marred by numerous fouls in the first half, including two questionable calls that led to players for each team being sent off with red cards, it went to extra time scoreless and eventually to penalty kicks. 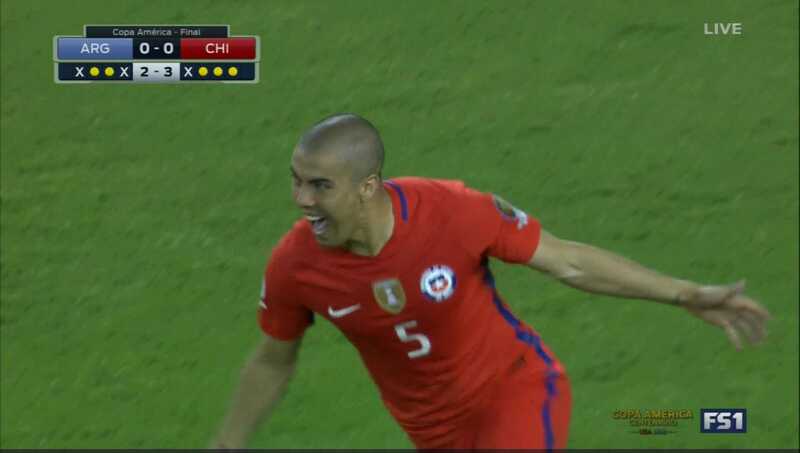 It was Francisco Silva who delivered the winning kick, giving Chile the Copa America title. However, Silva may never get to deliver the game-winner if not for one brilliant save by Claudio Bravo and one shocking miss by Messi. The save came in the tenth minute of extra time as Argentina was awarded a free kick from about 35 yards out. Messi’s kick was delivered into the box where a header looked like it was heading into the goal, just under the bar. However, Bravo timed his leap perfectly and deflected the ball over the goal. Amazing. Then, after extra time, Argentina had a huge opportunity as Chile missed on the opening PK attempt. That left Messi with an opportunity to break first and give his squad a huge advantage. Messi’s kick never had a chance, sailing high over the bar. It was his first miss ever on a penalty kick attempt. Messi’s miss opened the door for Chile. When Lucas Biglia missed on Argentina’s fourth attempt, Silva stepped up to the spot with a chance to win it all for Chile. And Messi was in shock.